Last year I had the fortune of taking two Old Testament classes from one of the most prestigious scholars in the field and the author of this book. 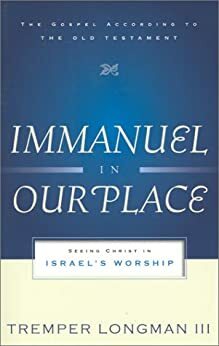 Immanuel in Our Place is a book looking at the Sacred elements of the Israelite’s worship in the Old Testament. Tremper reviews the set aside spaces, acts and how these connect to the Christian understanding of faith and worship. Theologically it is an excellent book. I know for me personally I struggled with hearing about the Jewish worship and teachings of the Old Testament and having a hard time figure out why every Jew wasn’t a follower of Christ. This book 1) helped me bring that in perspective and 2) enlightened me on what items were not. The descriptions and structure is also very easy to understand even if one has no knowledge of Jewish practices. It’s also a reasonable length so good for a plane ride or a vacation read. Practical wise–Tremper provides not only questions at the end of chapters for a study group format, but also travels through each “sacred” element first through the Hebrew Bible Narrative and then through the Christian narrative. One can see the importance for Christians of understanding Israel’s understanding of the Sacred and it also helps explains the important of Christ’s salvation & work. 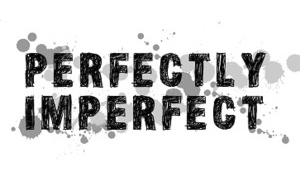 This entry was posted in Reading Records and tagged Religion and Spirituality.